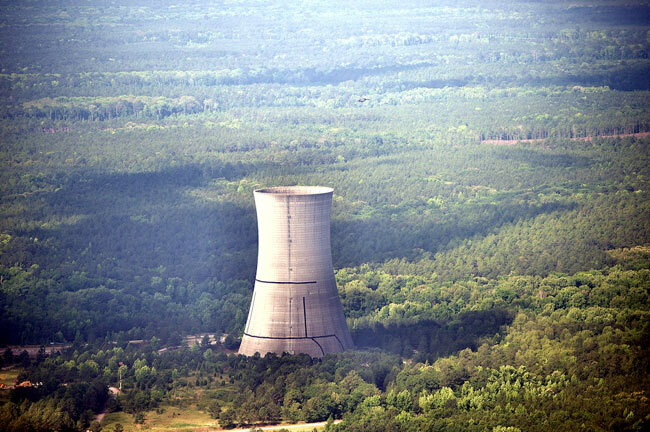 This cooling tower at Savannah River Site is visible from SC 125. 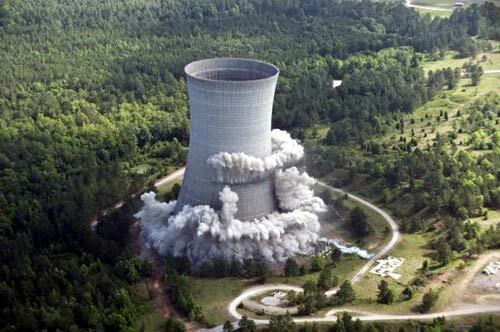 In theory, the cooling tower would remedy this violation. 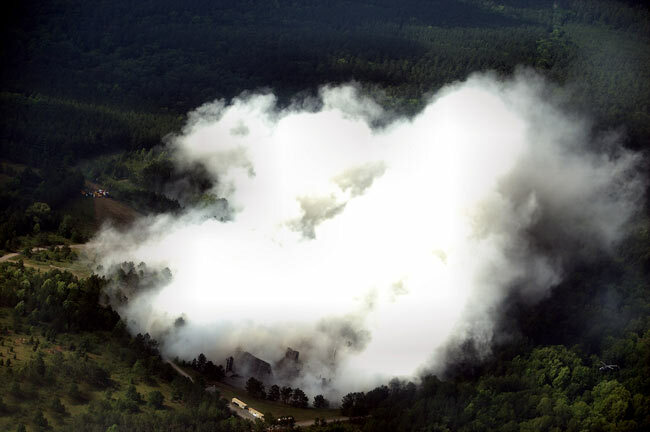 Located 3,000 feet from K reactor, the tower was designed to pull water from the reactor and cool it before it could burn plants and animals. Construction began in 1990. 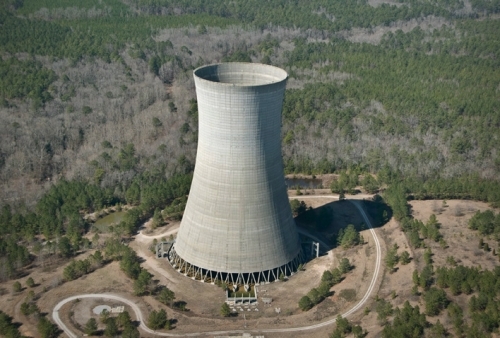 However, by the time the cooling tower was completed in 1992 – to the tune of $80 million – the Cold War had come to a close and K Reactor was shut down. Fortunately, the cooling tower does not go entirely unused. It is made of a corrugated material similar to honeycombs, and local bees have taken up residence there. As Laurie Posey, SCIway's tour guide at SRS, explained, "It is a huge beehive now!" 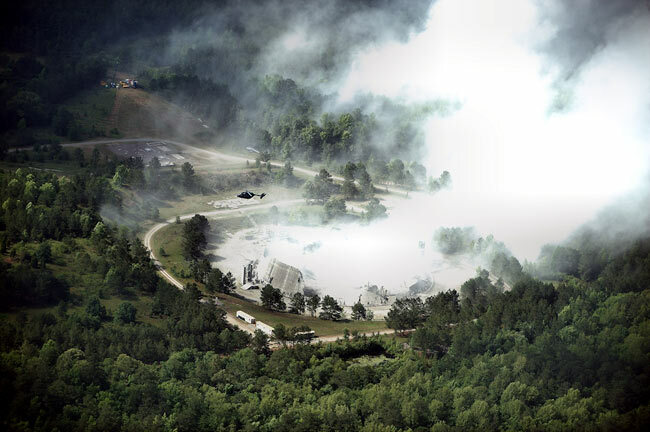 UPDATE: The cooling tower was demolished May 25, 2010 (see the pictures below). 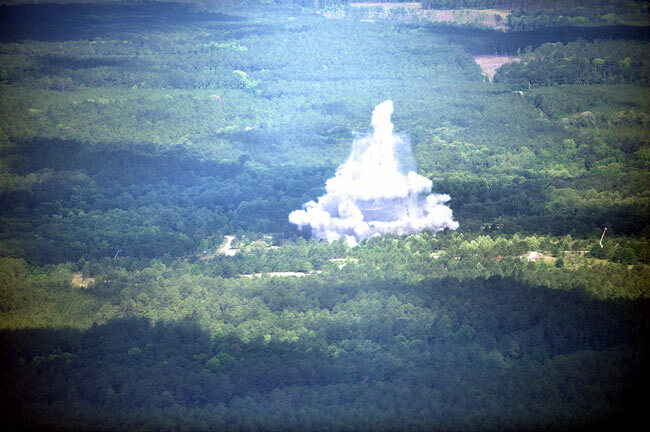 The first photo shown below was taken three seconds before the implosion. The black lines on the tower are where the explosive charges were placed. You can more read about its demolition here.